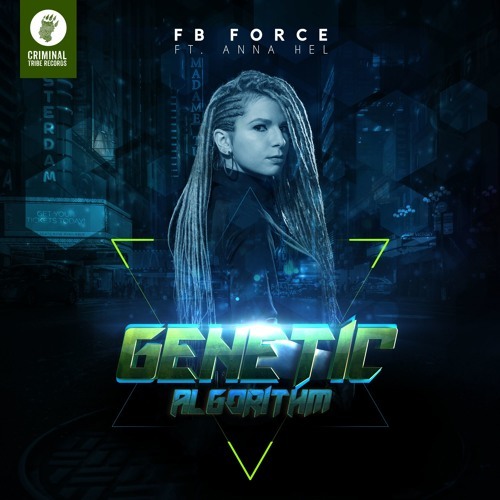 Smoothly approaching the release of a full-length album from our great resident FB Force, we bring to your attention the second single from it, called Genetic Algorithm, which was recorded together with a terrific singer Anna Hel, and accompanied with powerfull remixes from CTR members - Floyd The Barber and [SC]Smash3r. Already on all the world's stores and streaming services. Please join and taste the sounds of rage and cyber-dimensions! Buy on web: hyperurl.co/CTR031 - listen / stream / link Follow FB Force: FB - https://www.facebook.com/feedbackforce/ VK - https://vk.com/fbforce Youtube - https://www.youtube.com/user/fbforce Instagram - @fbforce_breakbeat Soundcloud - https://soundcloud.com/fbforce Twitter - https://twitter.com/fb_force // @fb_force Bandcamp - https://fbforce.bandcamp.com Spotify page – FB Force Follow CONFLICT: FB - https://www.facebook.com/Conflictmetal VK - https://vk.com/conflictmetal Youtube - https://www.youtube.com/channel/UCmnwlgm9GGZHt_pWSgja.. Instagram - @conflictmetalband Official Web - http://conflictmetal.ru/ Twitter - https://twitter.com/Conflict_Metal Bandcamp - https://conflict-metal.bandcamp.com/ Follow CTR: Official Site - http://criminaltribe.com FB - https://www.facebook.com/criminaltriberecordsltd Twitter - @Crime_Tribe_Rec // https://twitter.com/Crime_Tribe_Rec Souncloud - https://soundcloud.com/criminal_tribe_records VK - http://vk.com/criminal_tribe_records Bandcamp - https://criminaltribeltd.bandcamp.com Instagram - @criminaltriberecordsltd Spotify page - Criminal Tribe ltd.